Hello! 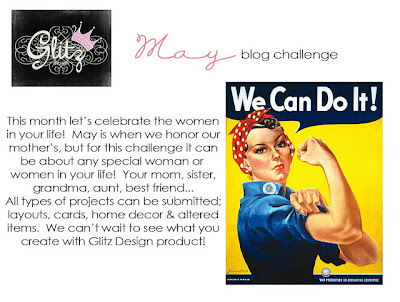 I made this page for two challenges, Glitz May blog challenge and Once Upon a Sketch, in both the theme for their challenges is "Mother" so I made this page about my mom. I don't have many photos with my mother because she doesn't like to take photos, but I found this one that was taking like 10 years ago. 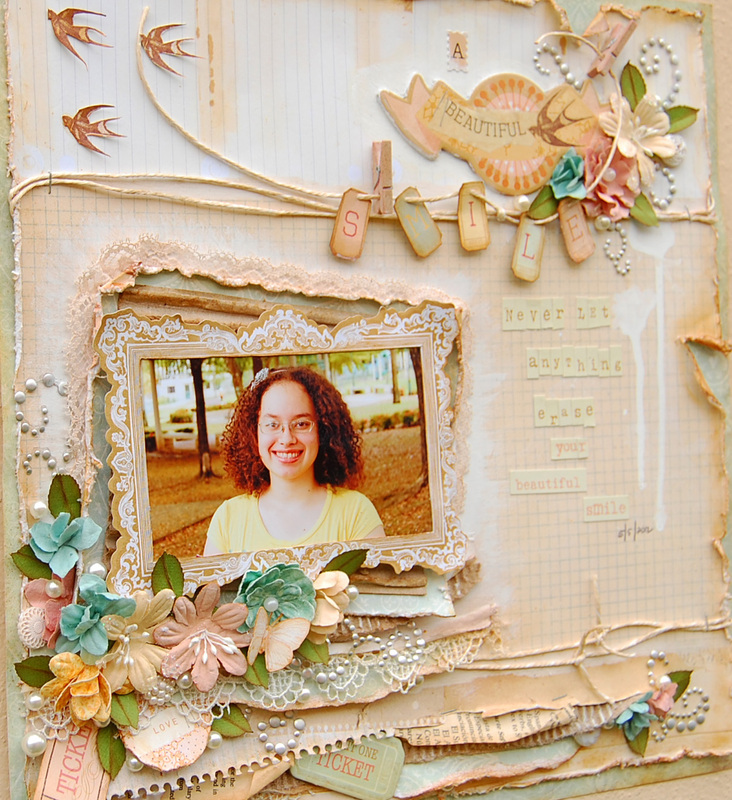 I used the French Kiss papers by Glitz. The dress form is for the Whatnot-french kiss. Flowers and Alpha from Prima. My journal is in a tag behind the photo. Well my blogger friends thanks for stopping by and for the sweet comments. Scrap That! 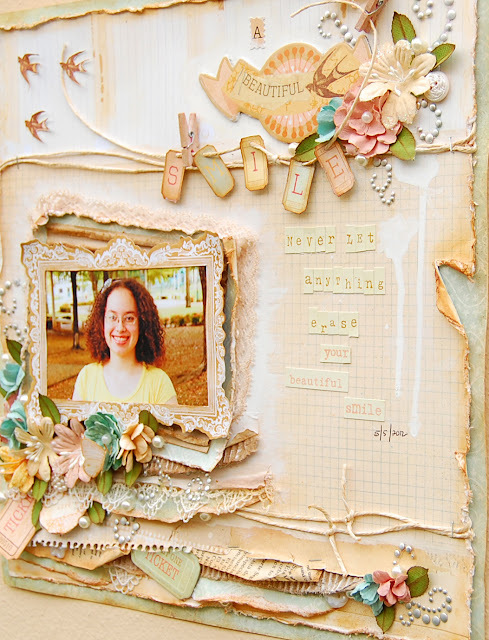 June kit "Life Muse" Reveal and Blog Hop!! If you've just arrived from Ray Roger's blog then you are right. If not please go back to Scrap That to start the blog hop. Welcome to the ScrapThat! 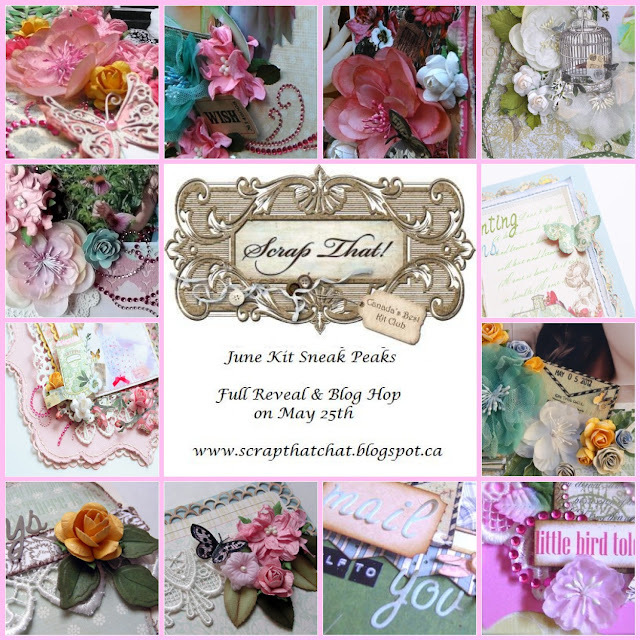 June Kit Reveal and Blog Hop!! 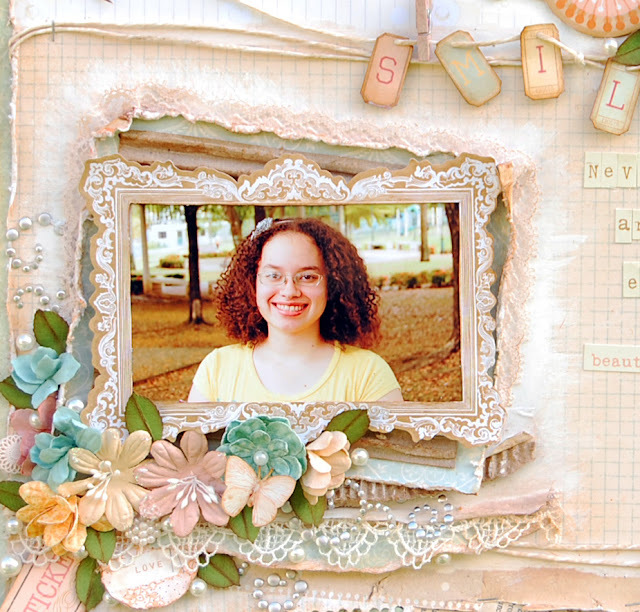 Guest Designer for the month of June! 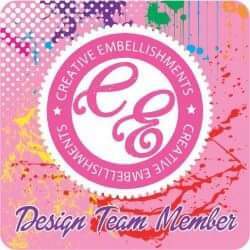 Design Team Members to make this month EXTRA SPECIAL! be sure you complete the Hop to see this months generous prize! The kit is chock full of gorgeous goodies, such as lace, bling, an array of pretty flowers and much, much more! I think this photo is perfect for these beautiful papers. Here is my niece Sabrina with her natural princess attitude, lol! A lot of fussy cutting...I used some pearls from my own stuff. I painted the lace with Tattered Angels-Glimmer Mist "Vintage Pink". Here is Camila with her fairy dress, she loves to play with this dress all day long, I cut the frames that comes in these papers to create this design. I used the embellishments add-on in this page. My third page is based on this beautiful sketch by the DT girl Amarilys Doria. I love this photo of my kids Alexander and Paola. I took this photo in Alexander's graduation. I made these flowers..stay tuned to Scrap That's blog for the tutorial that I'll post it during this month. 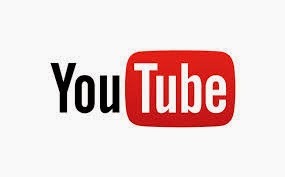 If left unclaimed a NEW winner will be choosen! Next, head over Iris Baboa Uy's blog and Happy Hopping!!. Scrap That is ready for the June kit reveal and blog-hop this Friday. 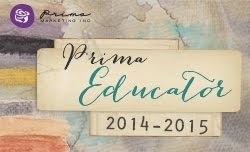 The June kit is soo Gorgeous, I love it!!! but you have to wait until Friday to see what I'm telling you about but I giving you a sneak peak so you can get an idea. 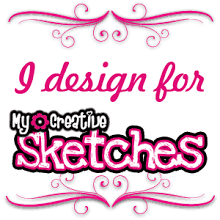 Please, join us in our blog-hop so you can see all the beautiful creations that were made by the DT. I see you Friday...at http://scrapthatchat.blogspot.com/ . Bird is the Word "Smile"
Hi everyone!!! It is a new word at Bird is the Word..."SMILE" very easy right?? How many photos do you have with lovely smiles? ?, so let's look into your photos and play with us at Bird is the Word! 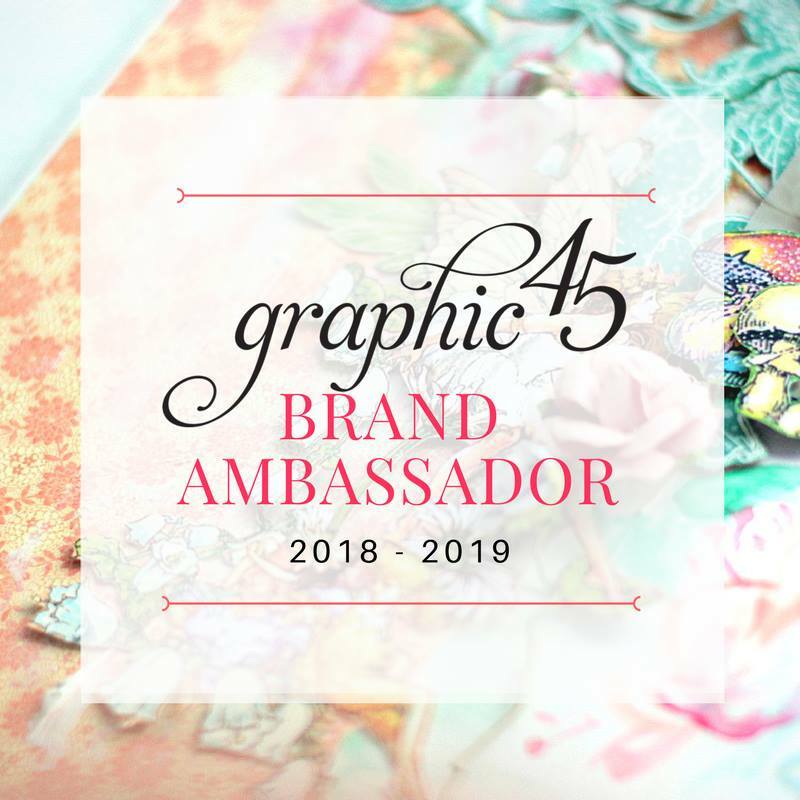 You could use this word in the title or in the journaling on your project, then go..HERE and upload your page and if you are one of the winners you could be our next Guest Designer, sounds great...you should try it! 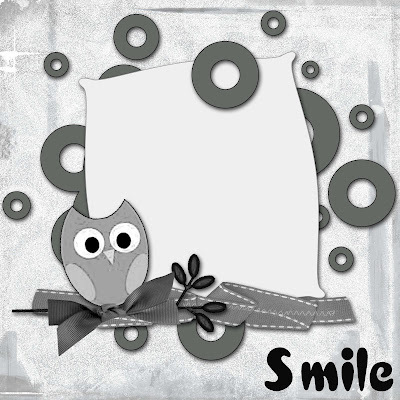 This is my design team work, I used the "smile" word in the tittle and in the journaling. 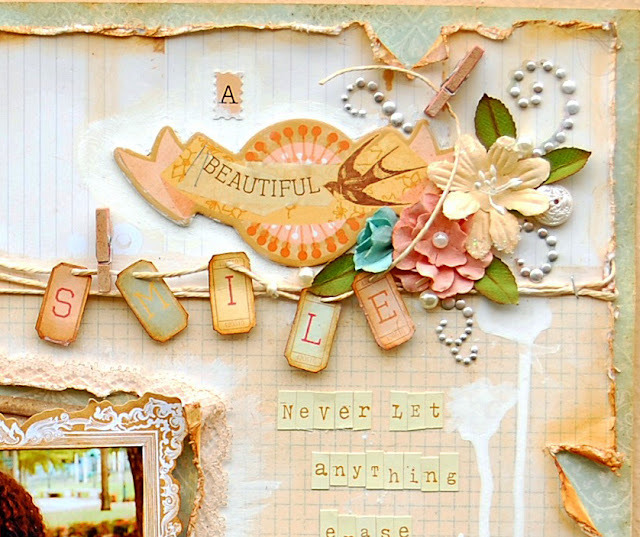 You can see different uses of this word from the gorgeous DT and GDT girls' work...here. Isn't it cute??? I love it! I worked with the Songbird collection by Prima. Thanks for stopping by and for your lovely comments. Until next time!